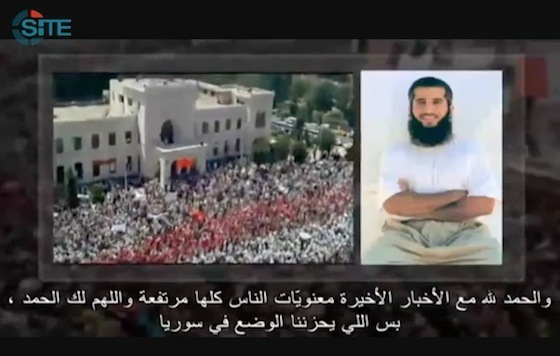 An audio message from Guantanamo detainee Fayiz al Kandari to the Syrian people was reportedly released online. US officials have identified al Kandari as an al Qaeda propagandist who was close to Osama bin Laden. An al Qaeda trainer agreed to a plea deal at Gitmo on Tuesday. The terms of the deal remain undisclosed. The trainer, Noor Uthman Mohammed, was captured alongside top al Qaeda leader Abu Zubaydah in March 2002 and was allegedly involved in Zubaydah’s plot against Israel. A profile of Adil Hadi Al-Jaza’iri Bin Hamlili, a takfiri who is accused of working with several terrorist organizations including the Taliban, al Qaeda, the Algerian GIA/GSPC and Takfir Wa Hijra. A profile of Zamir Muhammad, who was an al Qaeda trainer at the Khalden camp in Afghanistan, worked for top al Qaeda operative Abu Zubaydah, and was allegedly slotted to take part in an attack against Israel at the time of his capture.